The DC Shorts Film Festival is coming soon (September 9 to the 16 to be exact). In the meantime, niche food and environmental films will be shown at a special pre-festival screening at select Whole Foods in the District. The Whole Foods stores on P Street (1140 1440 P Street, N.W.) and in Georgetown (2323 Wisconsin Ave, N.W.) will both be providing snack specials and festival catalogs while presenting 7:30 screenings of films. Both screenings are free, so go kill two birds with one stone – get your grocery shopping done and see a few films from some of the best independent film makers out there. 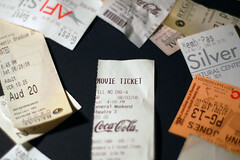 Tickets for the 2010 DC Shorts Film Festival are still available. By the way, the address of the P Street Whole Foods is 1440 P St NW, not 1140 P St NW.